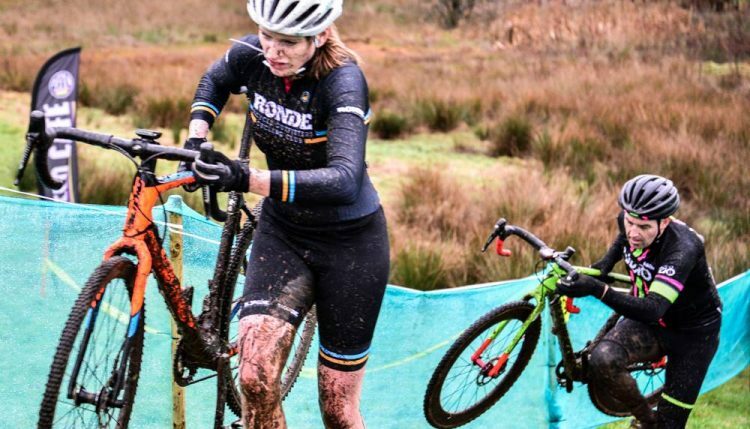 David Duggan got the better of the weather to win the fourth edition of the Doonbank Trofee Cyclocross at Rozelle on Sunday. Having led from the start, Duggan finally managed to distance David Lines on the third of seven laps, as Lines lost traction on one of the courses many treacherous off-camber descents. Lines was quick to remount, but the gap between the two favourites only grew, with Duggan taking maximum points in the Trek Super Quaich Series. The ever popular crowd-pleaser Craig Hardie rounded out the podium with a fine third place. 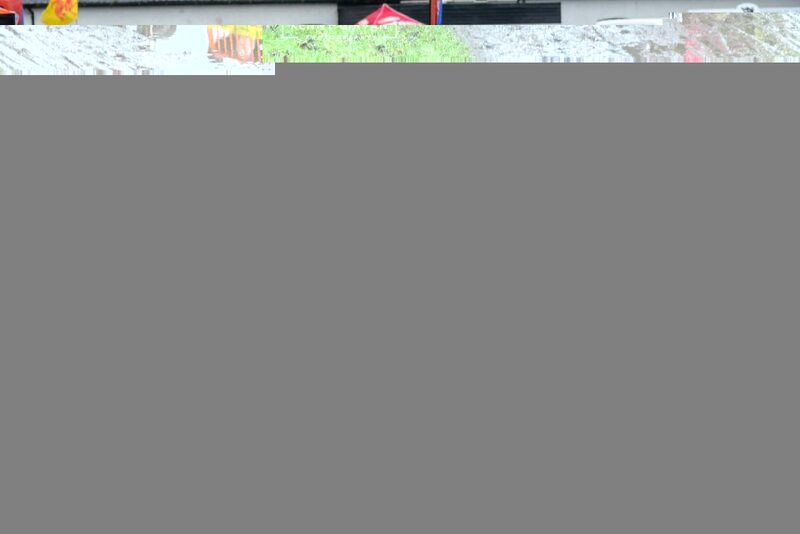 Overnight raid and high-winds created a challenge for hosts Ayr Burners Cycling QTS, who struggled to complete the course build. The 2.8km circuit within the scenic Rozelle Park is known to be a challenge for the riders, but the weather made it even more so for the 30-strong team of volunteers led by organiser John-Paul Baxter and team leader Gavin McKellar. 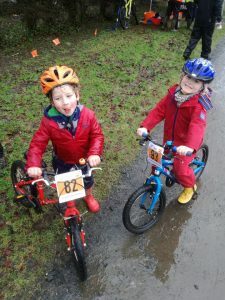 Come the first ride at ten o’clock it was all smiles as riders age four to eleven took to the start line for a fun-ride on the course, encouraged by legendary Scottish cycling announcer Jammy Johnstone. Four-year-olds Kennth Dixon and Robin Johnson flew the flag for Ayr Burners Cycling, both enjoying several laps of a 1km circuit, getting very muddy before collecting their goody bags. Next to take the start line were the under 16s, who would be the first to sample the full 2.8km circuit. Ben McMullan not only took the win in the category, but set the fastest lap of the day in 7mins 3seconds. Meanwhile there was local delight for Alloway’s Ollie Kelly who finished fourth overall, and 3rd U14 despite still being under twelve. Gary Currie – 6hrs into a 12hr shift, with a 4th place promotion! By the time the Super Quaich events started the rain and wind began to subside, encouraging more people out to the park to enjoy the spectacle. 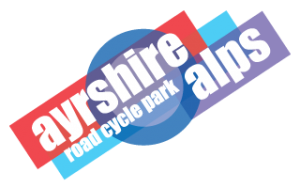 In the ‘B race’, riders were competing for one of five promotion spaces for the next round, along with fantastic prizes from the Velo Café at Lagg. Ross Wood was first across the line, with a lead of over six minutes. Behind was an intense battle between Helen Gorman and Laura Cunningham, fighting for a spot on the overall women’s podium. Stirling rider Gorman was chased all the way, never gaining more than a ten second gap. 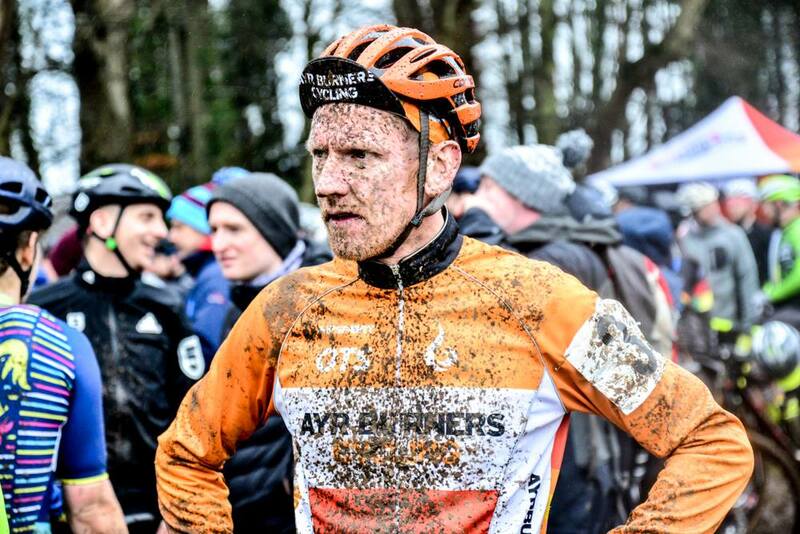 Troon rider Gary Currie rode strongly to claim fourth position – all the more remarkable after he put in a ten hour shift to build the course the day before! 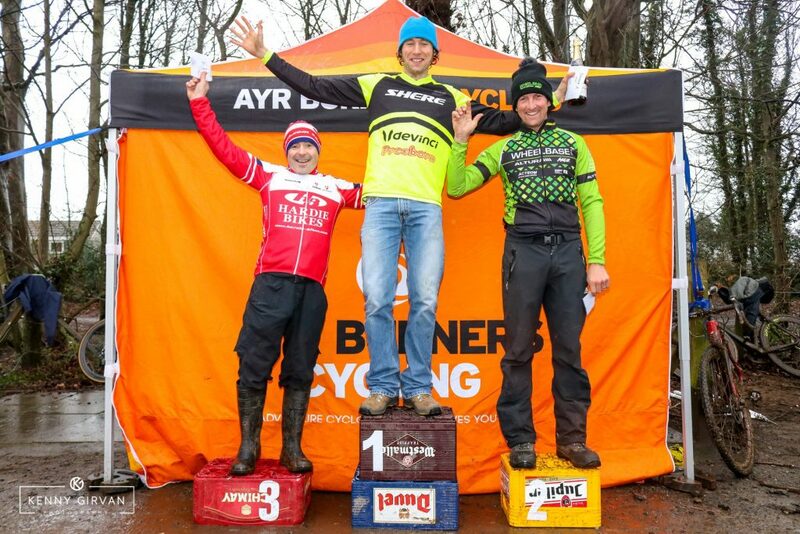 At 13:45 announcer Jammy Johnstone introduced the top gridded riders to the A event, supported by SPAR Scotland. Brian Yates of Dalmellington and Neil Walker of Kilmaurs flew the flag for Ayrshire at the front of the pack. As soon as the gun went, it was clear that David Duggan, David Lines and Craig Hardie were riding for the podium places. Edinburgh Road Club’s Louise Borthwick was also on a flyer, consistently in the top end of the field eventually lapping women’s runner-up Alicia Lawson. 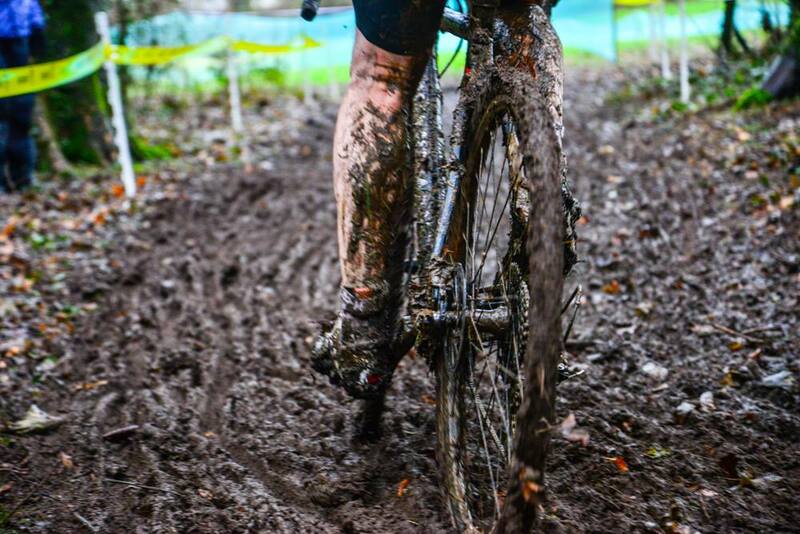 The wet conditions took their toll not only on the riders but also on the course, with marshal’s busily mending broken barriers were riders overshot the course, and lower sections beside Rumbling Burn getting deeper and deeper. After an opening lap time of 7mins 40 seconds, David Duggan’s final laps were a full two-minutes slower. After an hour of racing, young piper Cammy McGarvie welcomed the riders home, while the winners received their prizes from SPAR Scotland. The next round of the Trek Super Quaich Series takes place at Irvine Beach Park on the 11th February.